After the initial release, recall, and now second release nearly 6 months after GoPro first announced it; I finally got my hands on the GoPro Karma drone. Even though I literally could not wait to fly it, I made sure to unbox it for you all to see. If you have any questions, comments, or whatever else, feel free to leave it in the comments below. Also, make sure to SUBSCRIBE to my channel for more tech videos, tips, unboxings, and quality tests. THANKS FOR WATCHING! Take aerial shots with this GoPro Karma drone. 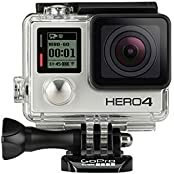 Its Karma Stabilizer lets the included HERO5 Black action camera capture shake-free videos, while the Karma Grip provides reliable stabilization for handheld and mounted filming. The game-style controller with an integrated touch display makes Karma easy and fun to fly.